Will (Wilhelmina) is dealing with a lot. Her parents died in a car accident last year and she’s developed a fear of the dark that she combats with a creative hobby – creating lamps out of nearly anything. Living with her aunt, and helping her run an antique store, Will is looking forward to a summer of hanging out with her friends. But when Hurricane Whit comes to town and causes a massive blackout, Will has to face her fears, and herself, without the aid of her lamps. This is a far more “girly” graphic novel than any I have read previously, and would be a great way to introduce girls to the genre, but that doesn’t mean that it doesn’t work for boys too. Will’s struggles with her friends, her fears, and the loss of her parents are ones that can be universally understood and appreciated. The illustrations are bold and flow seamlessly with the use of dark and light and shadows adding depth to the story. 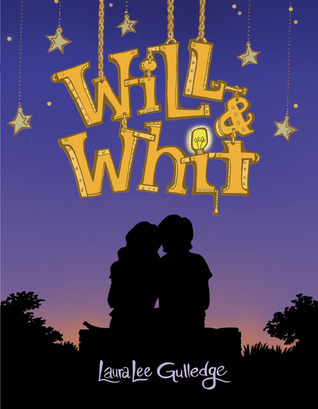 Will’s story is one of courage and is full of heart, showing that there is always light to be found, even when it is darkest. John Lewis is a Congressman and a key figure in the civil rights movement. 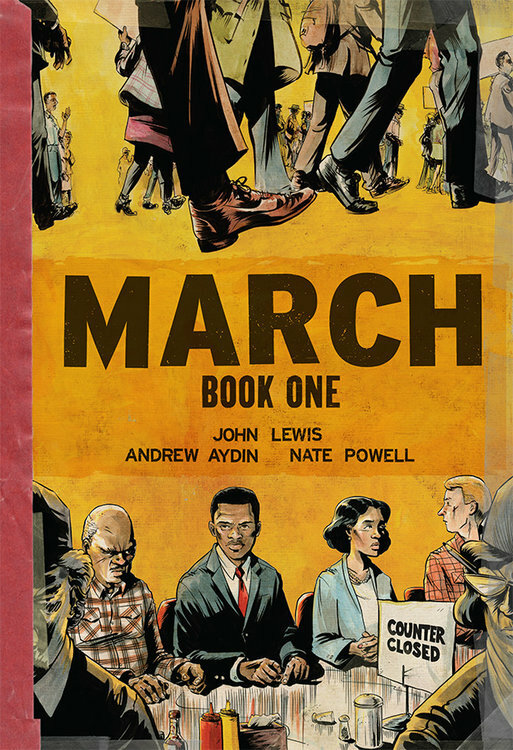 This graphic novel is the first in a planned trilogy telling the story of Congressman Lewis’s life. The book begins with Lewis’s participation in the Edmund Pettus Bridge Crossing (the Bloody Sunday of the civil rights movement), but that story does not get completed in this installment. Instead, it moves forward in time, using President Obama’s inauguration in 2009 as the framework for the story, Lewis looks back on his life, what it was like to live under segregation, and the journey that has led to this moment in history, sharing it with several young boys who are meeting the Congressman. From his time as a child on the farm, to his meeting Martin Luther King, Jr., through to his use of nonviolent protest at department store lunch counters in Nashville, this graphic novel tells a moving story of the first part of this man’s personal history while never losing sight of the larger historical context. 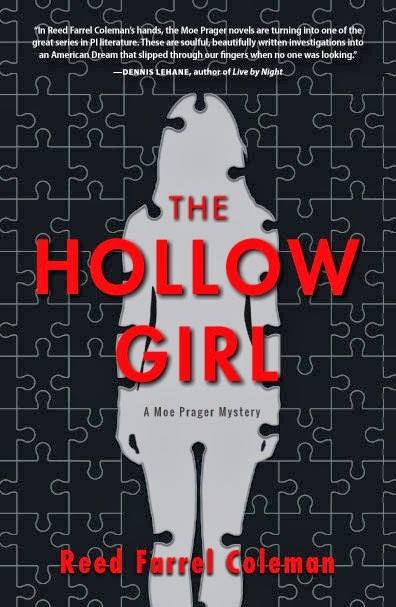 This entry was posted in Adult, Book Discussions, Fiction, Non-Fiction, YA and tagged graphic novels, john lewis, laura lee gulledge, march book one, will & whit. Bookmark the permalink.